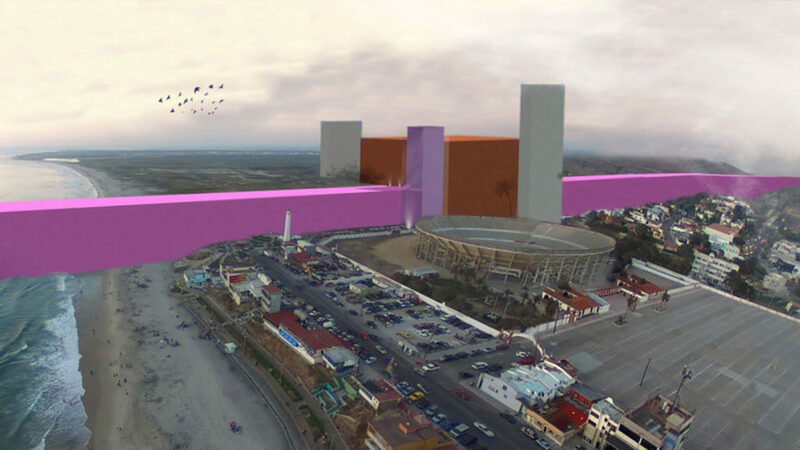 At this point, we’re all familiar with <a href="https://inhabitat.com/tag/donald-trump">Donald Trump’s</a> promise to build a wall across the US-Mexican border if he’s elected. 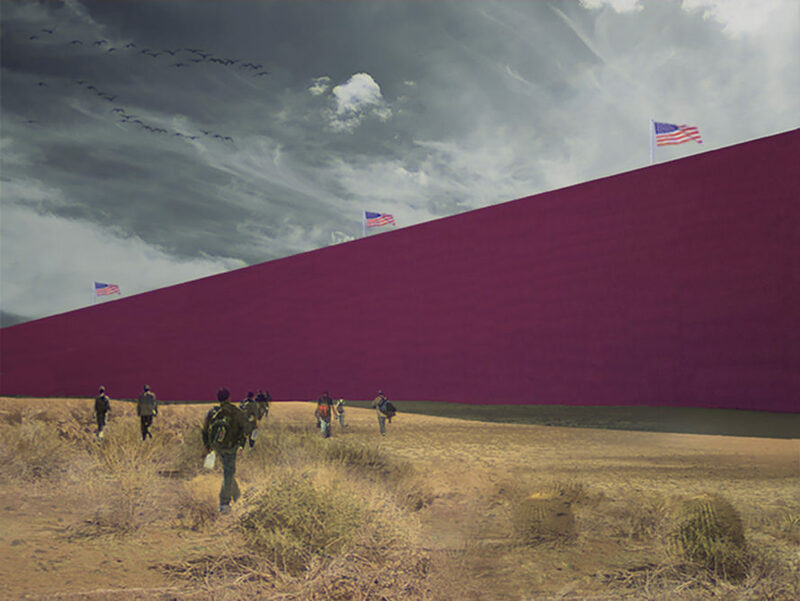 While a number of experts have weighed in over the course of the election on why this plan <a href="http://www.usatoday.com/story/opinion/2016/09/14/immigration-trump-clinton-deportation-hispanics-mexico-wall-border-criminals-column/90044734/">will never work</a>, sometimes these explanations are a little hard to envision. 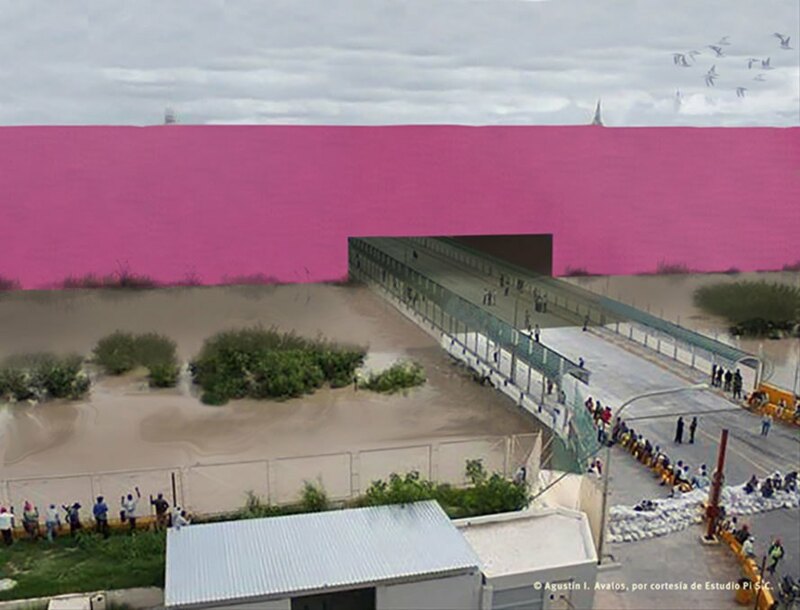 That’s where Mexican design firm <a href="http://e314.mx/">Estudio 3.14</a> comes in – they’ve created a <a href="http://www.designindaba.com/articles/creative-work/mexican-design-firm-imagines-trump%E2%80%99s-proposed-wall">series of renderings</a> showing the obstacles and shifting landscapes that would make it impossible to build. 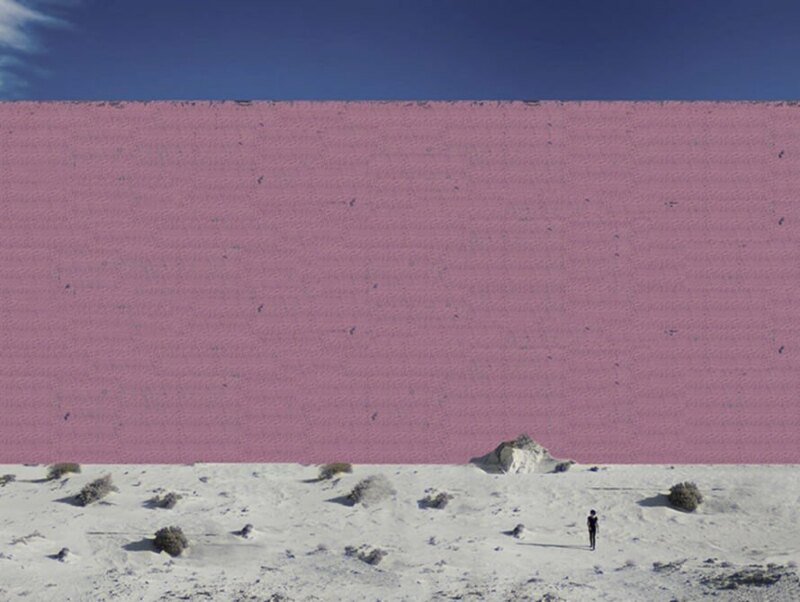 The wall crosses through bodies of water, mountains, and buildings, showing just how unfeasible such a structure would really be. 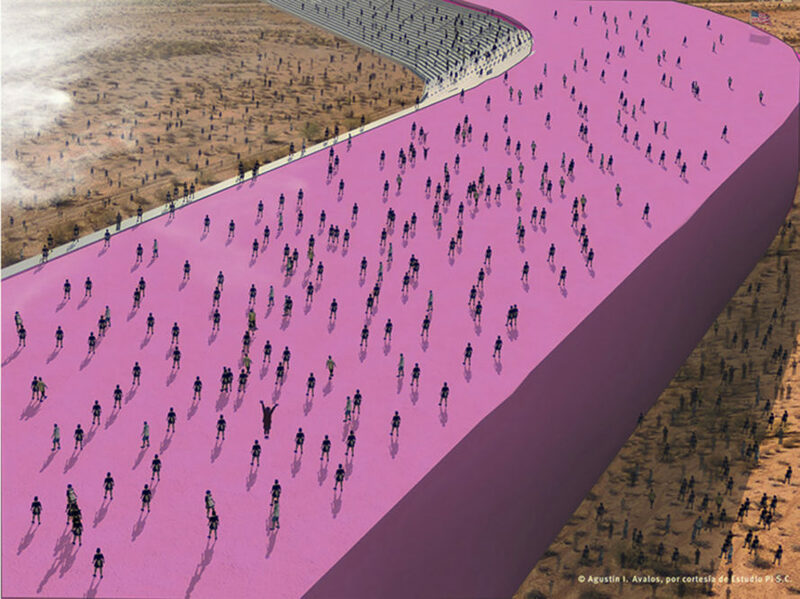 Large portions of the border between the two nations runs through public lands held by national parks, so the wall as depicted could have a devastating impact on the environment. The seasonal ebb and flow of the Colorado and Rio Grande rivers would also be a challenge to plan around. The studio hopes that by making these logistical barriers more obvious, more people will begin to truly understand the issues with Trump’s campaign promise. At this point, we’re all familiar with Donald Trump’s promise to build a wall across the US-Mexican border if he’s elected. While a number of experts have weighed in over the course of the election on why this plan will never work, sometimes these explanations are a little hard to envision. 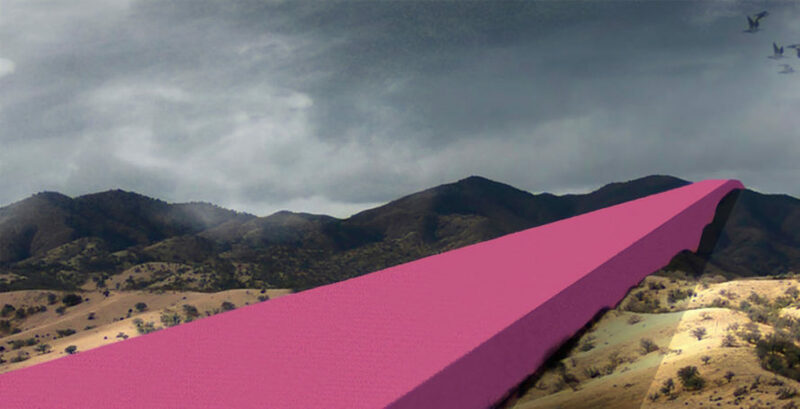 That’s where Mexican design firm Estudio 3.14 comes in – they’ve created a series of renderings showing the obstacles and shifting landscapes that would make it impossible to build.